One of my favourite spots around town is the Wintergarden complex in the Auckland Domain. The greenhouses look amazing, both inside and out, and they are full of beautiful plants that you don't often get to see. Colourful flowers at the Wintergarden. When we visited last weekend though, I was surprised to notice some food-related plants that I didn't remember seeing before. Torch ginger, also known as ginger flower or bunga kantan, is used in South East Asian dishes such as Penang asam laksa, as well as eaten in a fruit salad in Thailand. Sago palm is used to produce the translucent pearls which make me think of puddings and soupy desserts, but the starch is apparently also used to make noodles and white bread in some places. Coconut palm is the plant that gives us coconuts. You may remember my experience making my own coconut milk last year. 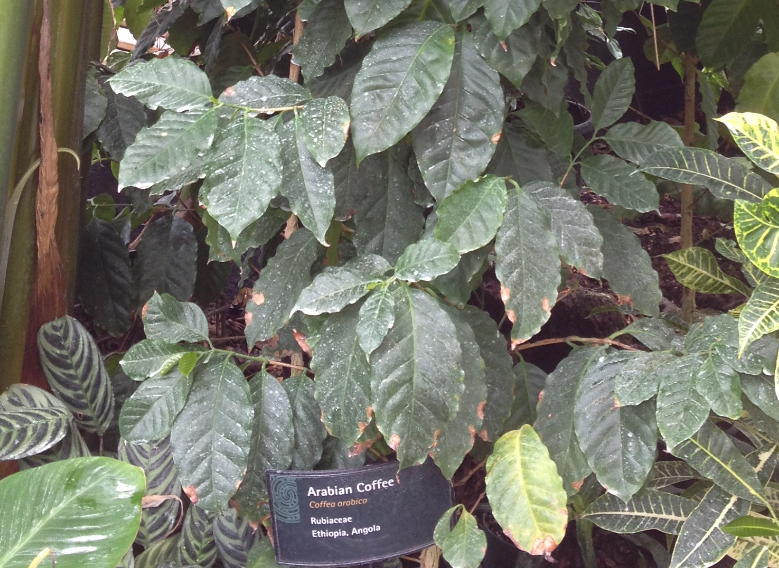 Coffee lovers might be interested to see Coffea arabica, though it looked mostly like a jumble of leaves. Then there were things that reminded me of food, like the water lilies that made me think of lotus flowers. Lilies in a pond, and more. 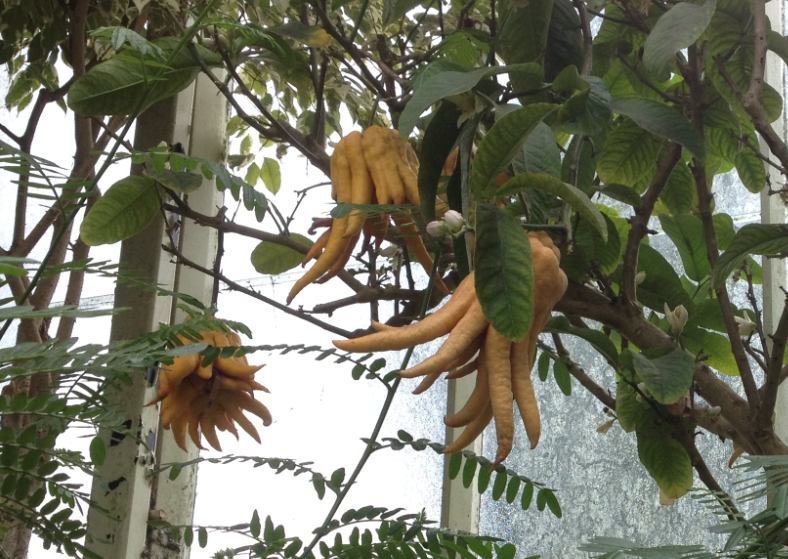 These crazy-looking fruit are buddha's hand citron, or fingered citron, which are basically ornamental citrus fruit. We also saw a bird's nest with an immobile bird in it, which we initially was a fake animal, and, of course, plenty of flowers of different shapes and sizes. There is construction going on around the Wintergardens right now, but the place is still open to the public and so worth a visit! Interesting post! I love going to the wintergardens too but I never knew they had culinary uses! I don't think they'd want you to use the Wintergardens for culinary purposes, but it's certainly interesting seeing the different plants - and very tempting to sample them. That's probably why they placed the citrons out of reach, haha.